Ballysaggartmore House was the country seat of the Kiely family. Arthur Kiely-Ussher earned a reputation as a heartless landlord as a result of evicting his tenants during the famine. There was a failed attempt to assassinate him. Ballysaggartmore was famed for its garden and demesne which featured a walled garden, conservatories and the imposing Neo-Gothic style entrance lodge and bridge now known as "The Towers". The House was purchased by the Hon. Claud and Lady Clodagh Anson in the early 1900's. The talk will also include the impressions of a young English governess who was employed by the Ansons during Christmas 1917. She gives a vivid impression of life in the Big House at this period and of the local people. Earlier this year, Willie was invited to give a paper on the correspondence of the governess at the 13th Annual Historic Houses of Ireland Conference, the theme of which was "Women and the Country House". Venue: Green Room (upstairs), Town Hall Theatre, Friary Street. There will be a €5 entrance fee. All are very welcome. William Fraher, who is our Museum President, is also one of our better known speakers. 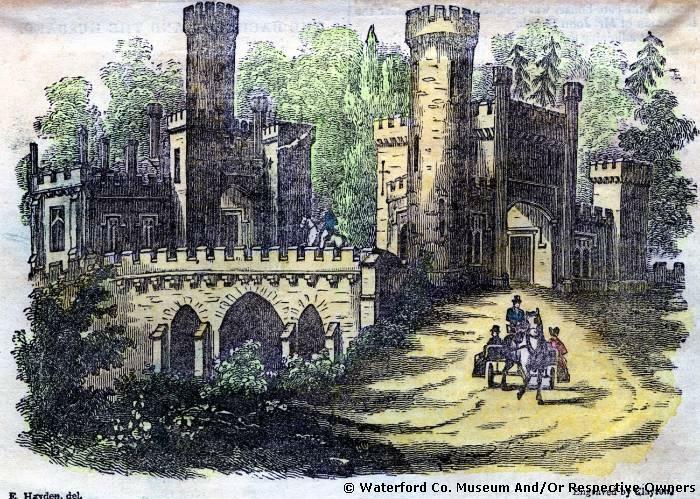 He has been researching the history of Dungarvan and Waterford since his school days! The subject matter of his latest offering is almost certain to raise a few eyebrows! It will of course be delivered with his usual charm and added darts of wit.